Lung cancer. 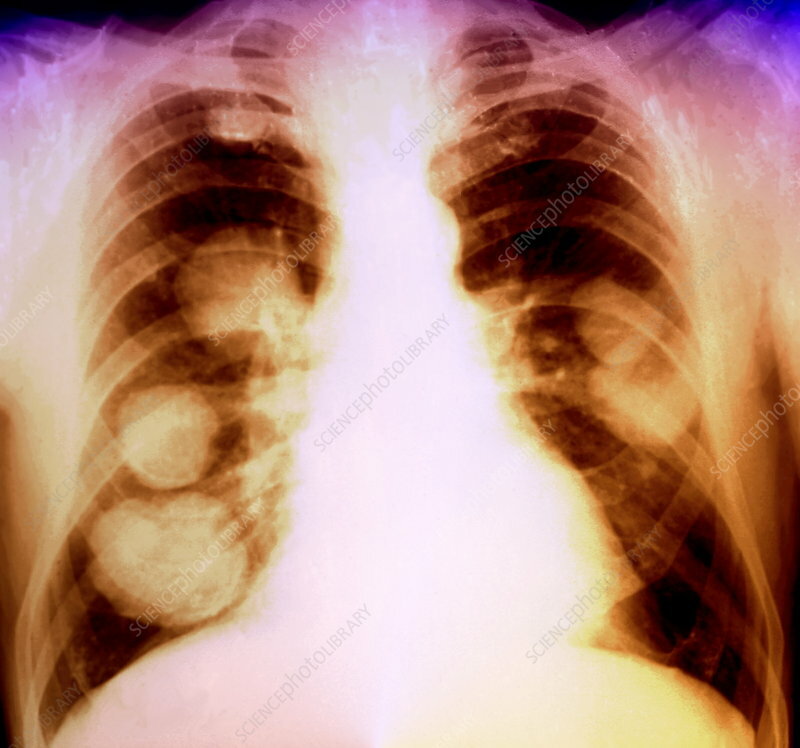 Coloured X-ray of the chest of a patient with cancer. There are multiple malignant (cancerous) tumours (orange masses) within the lungs (black). The cancer has spread (metastasised) from the original tumour. The main cause of lung cancer is cigarette smoking. Symptoms include chest pain, shortness of breath and a cough. Treatment is with a combination of chemotherapy and radiotherapy, although this is an advanced stage and prognosis is poor.